Men rubbed fake poo on 4-year-old Muslim girl’s face while their two or more dozen friends were there laughing. They did the same to her mother, while the rest of their mates were cheering and laughing. Why do these cowards always happen to attack and abuse the weakest on society. I have yet to see these racists, pick on someone their own size. How weak and cowardly are these creatures to attack a 4-year-old and her mother. The media is brainwashing these sheeps on to the next level. Muslim children and mothers can’t go anywhere because of hate-filled individuals who are out there to harm them. 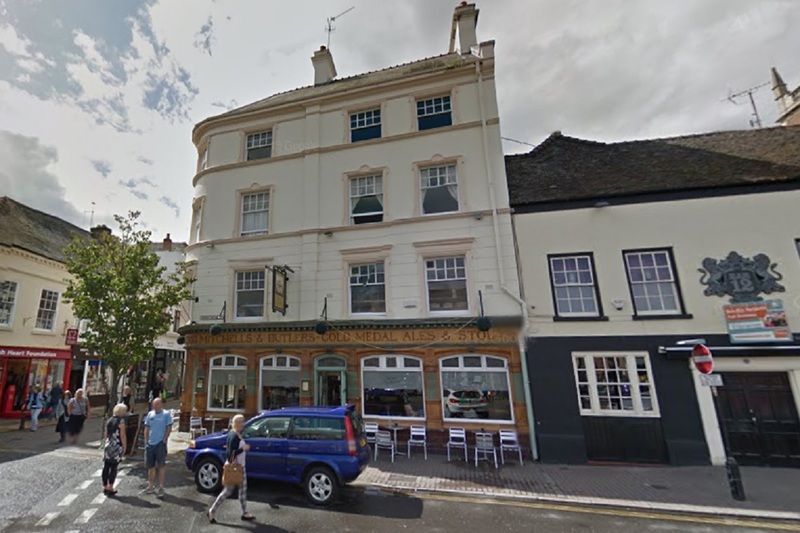 A MAN rubbed a “joke” fake poo on the face of a four-year-old child as they passed a city centre pub on Saturday afternoon. The uncle of the child said his niece was now too frightened to return to the city centre after the man attacked her and her grandmother outside the Royal Exchange, Cornmarket at about 4pm. Tayyib Nawaz said the “coward” received cheers from his mates for his attack and pub landlord Terry Clarke said he kicked the gang of 20 out after being alerted. Police are treating the attack as racially motivated. Disgusted regulars saw the attack – which is thought to have been filmed by one of the group – and now officers are hoping they and others will come forward. Mr Nawaz said: “My mum, my sister, with her 18-month-old son in a pushchair and daughter, aged 4, were walking through town and some “man” thought it would be cool to try and rub fake poop in my niece’s face, then he tried to do the same to my mum too which he received a load of cheers. “Now my niece is too frightened to even go back into town.